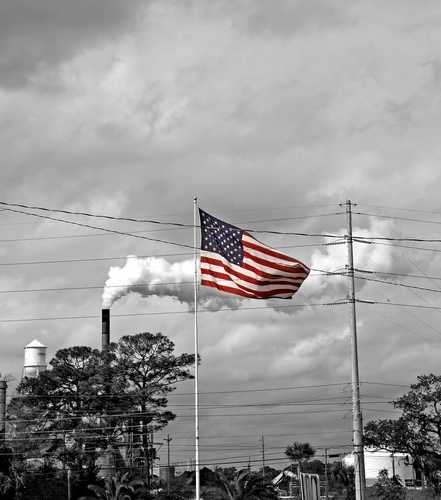 It's not surprising that the US, the biggest culprit in terms of emissions. Noting China's per capita GHG emission level is much less, thereby making the US the greater polluter, with each person in China producing approximately 5.6 tons of emissions per year with a comparative per capita high from the US producing approximately 24 tons per annum (Carnie, 2011). One simply can't ignore this disparity of population-land statistics-GHGs; the US has a far smaller population but huge tracts of land, conversely China has a huge population occupying smaller land space. Calculating emissions by volume then both the US and China come close are about 20% each of global emission attribution. However, China's industry is labour-intensive, catering to the labour needs of its population. It's the last day of COP, and there seems to be no movement from the US. Really is this surprising? This is a nation that has refused to be held accountable in spite of its global expropriation of fossil-fuels, the very basis of high emissions, a nation that has plundered, engaged in war, killed civilians, women, children under the guise of freeing dictatorship countries, but we all know it's about taking over the oil reserves of several countries. Fossil-fuel for the US equals profit, and their tradition of national resource colonisation throughout the third world is well documented by the press, academics and in the memories of its victims. At COP, they are behaving totally in character. This is a direct sabotage together with their lieutenant Canada and other gofers they have formed an even greater rift with those responsible nations fighting for legally-binding commitments and a second Kyoto Protocol commitment period. Yesterday at a press conference, the Global Justice Ecology Project, condemned the Green Economy as another privatisation model to build the carbon market and see this as one of the many false solution. False solutions seem to be indicative of many of the COP so-called interventions fronted as geared to address the needs of climate victims but the reality of the programmes is profiteering off climate change mitigation and solutions. The local steadfast grassroots environmental organisation, the South Durban Environmental Alliance (SDCEA), formed in the early 90s to give a voice to the countless pollution victims living side-by-side with two multinational oil refineries (Engen, US and BP) and over 200 support chemical industries. Desmond D'Sa of the SDCEA said this of COP, "this conference of polluters has been a failure. It's not going to assist communities in South Durban or anywhere. The decisions we see coming out of here are in the interest of greed and corruption." Frustration looms as those most affected by climate change such as the island states are sighing with grief at the negotiations, as the deadlock continues. The US is hoping to delay until 2020; by then scientists say it is too late. South Africa, the host country, is trying very hard to 'charm' the saboteurs into a buy-in on KP 2 and is willing to extend the negotiations to reach consensus aiming for the best scenario i.e. legal targets and KP2.